Companies "don’t go and distribute cash to their shareholders in the form of buybacks or dividends if they have good investments to make of a long-term capital nature." The surge in Bank payouts underscores that banks have limited opportunities to keep expanding their businesses profitably. So, they’re pumping out cash. 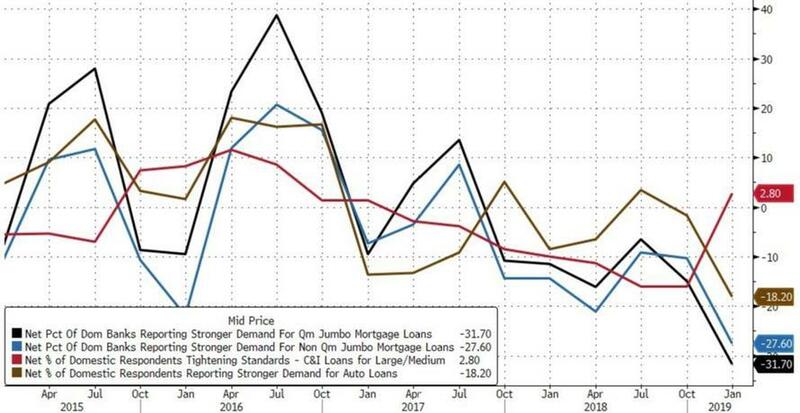 We know Dealer holdings follow the rhythm of the Euro$ squeezes. Maybe there really is no one to buy all these UST’s piling up on exposed dealer balance sheets? It now seems only a matter of time before the Fed not only ends its balance sheet unwind, but proceeds with QE4 in order to fund America's gaping budget deficit. THE PROBLEM IS THE $5.9T IN BONDS HELD BY "US GOV'T ENTITIES' THAT MUST BE PAID OUT -- NOT 'ROLLED OVER'!! The EU Labor productivity growth has been almost non-existent over the past decade or so with almost all of the EU issues having to do with Supply-Side problems. An EU Banking Crisis Looms on the Horizon. ARE BANKS HOARDING US TREASURIES TO "LIQUIDITY HEDGE"? The dollar world was a smoldering wreck, and because of that global bond yields were still falling. Liquidity hedging was prevalent as anyone might honestly expect. As a consequence, US primary dealers were hoarding UST’s coupons and bills. Their reported (net) holdings of these most prized instruments so very clearly rise and fall with each deflation/reflation cycle. 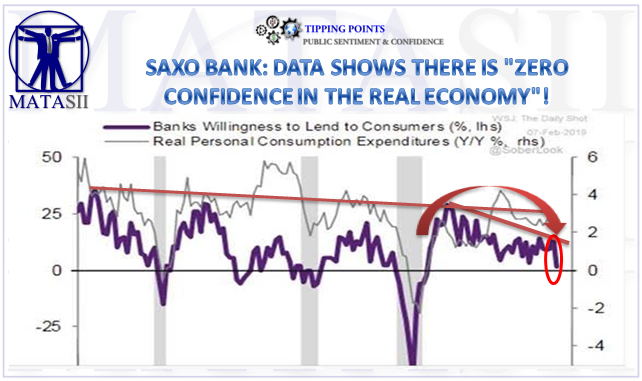 There is no such thing according to the Fed narrative. If it was ever the real thing it would reveal the whole corrupt nature of moneyless monetary policy. It didn’t matter the global downturn and how the US economy was pushed right up to the edge of recession, there was no liquidity problem in dollars. The premium for the newest, easiest-to-trade Treasuries has recently soared to the highest since 2011? The firms’ efforts to hedge all the Treasuries collecting on their balance sheets also roiled the futures market and a crucial corner of the financial system where traders lend and borrow securities overnight. Dealer holdings follow the rhythm of the Euro$ squeezes. When it gets bad, they purposefully hold on to what’s in inventory because of perceived liquidity risks arising from all the other things dealers do (repo and FX just the start). After Bear, AIG, Lehman, et al, nobody’s going to be so unprepared for when BONY Mellon comes calling for collateral. This dealer hoarding has now taken on ABSOLUTELY IMMENSE PROPORTIONS. It’s like nothing we’d seen before, even during 2008 (admittedly, dealers were still learning about the downside of illiquidity and prudent matching leading up to that big week in September). As of last week, Jan 30, reported holdings (therefore hoarding) surpassed the record set the week of Christmas (when every market was a huge mess, except UST’s). BUT: There is huge demand for pristine collateral types. Both the Eurodollar futures and UST curves exhibit absolutely brutal liquidity hedging going on. 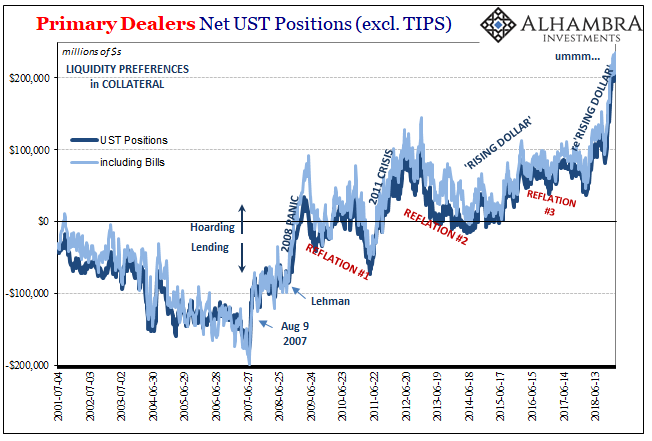 While everyone is fixated on UST 2s10s, the space between the 12-month bill and 5-year note has gone bananas – during the exact same time frame dealer hoarding skyrocketed. What we have is: Falling LIBOR and bond yields, confused and dazed central bankers and greater distortions to the major curves. Maybe there really is no one to buy all these UST’s piling up on exposed dealer balance sheets! On average, the banks saw their effective tax rates fall below 19 percent from the roughly 28 percent they paid in 2016. The 23 firms boosted dividends and stock buybacks 23% and slashed thousands of jobs with a few signaling that more layoffs are in store. Wells Fargo and Bank of America slashed nearly 4,900 and 4,000 jobs last year - only to be outdone by Citigroup's 5,000 job cuts. While the banks did not provide regional breakdowns, press reports reveal that at least some of the cuts were international. More cuts are on the horizon as well. Citigroup may cut thousands of staff from their technology and operations areas in the coming years. As customers are being shifted to mobile platforms and new technologies to handle banking needs, the many banks have announced increased investments in automation. "The ratio of personnel costs to revenue declined as banks gave workers a smaller slice of the money they brought in." Customers also, did not benefit significantly from Banks' tax windfall - as loan portfolios only increased by 2.3% in 2018 vs. 3.6% a year earlier. The KBW Bank Index of the nation’s largest lenders tumbled 20 percent last year. The surge in payouts underscored that banks have limited opportunities to keep expanding their businesses profitably. So, they’re pumping out cash. The bank index has rebounded 13 percent this year, helped by the payouts and record results. The European Commission’s statistics bureau "puts growth at its lowest levels in more than four years." Italy is now in a recession, having posted its second consecutive decline in economic growth in the fourth quarter of 2018. For the fourth quarter, Italy’s economy declined by 0.2 percent. Then there are the disruptions to the economies in England and also in Europe as the “date of decision” is just around the corner for Great Britain and its “leaving” of the European Union. The disruptions have already begun for all concerned. France is not doing all that well, and general weakness is being felt almost everywhere. Labor productivity growth has been almost non-existent over the past decade or so. The urban/rural economic divide is massive. The banking system is a mess, with many of the lending problems faced in the 2007 to 2009 worldwide financial collapse unresolved. The proposed remedy is for governments to spend and spend and spend. The general undertone among the most dissatisfied groups in Europe is that government fiscal policies need to be dialed up toward a more aggressive effort to stimulate growth in both the individual countries and in the community itself. What is needed is not more government spending or tax relief. What is needed is structural change and organizational reform. But, this is not what is on the agenda. A tax code that kills incentives and investments. That’s for starters." If you add the issues associated with Brexit and the dislocations and distortions that will be forthcoming for this exercise, regardless of the specific plan, you have economies that cannot fully compete in the current environment. Supply-side problems cannot be corrected by simple spending programs that are supposed to provide a rapid response to the issues voters want attacked. This is why politicians focus on these problems because more and more spending makes sense to a lot of the electorate and this is what the electorate wants, a quick solution to their problems. This, the politicians play on because it is their pathway to re-election. Focusing on demand-side solutions is not going to resolve Europe’s problems. Conclusion: We should just continue to expect more of the same thing! The fiscal 2018 U.S. budget gap hit a six-year high of about $780 billion, and the Congressional Budget Office forecasts it will reach $973 billion in 2019 and top $1 trillion the next year. Over the next decade, the U.S. government will spend about $7 trillion just to service the nation’s debt, according to the CBO. Treasury’s total net new issuance in 2018 amounted to $1.34 trillion, more than double the 2017 level of about $550 billion. In 2019, it will be $1.4 trillion, with $1.11 trillion from more coupon-bearing debt and the rest in bills. 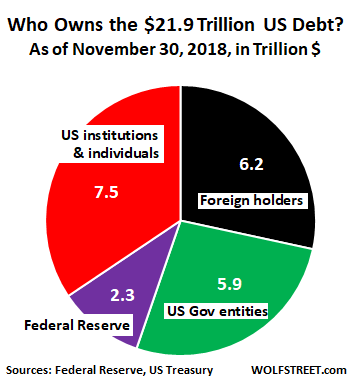 Gundlach: "The US has "$122 Trillion US unfunded liabilities per Debtclock. That’s 564% of Fiscal ‘18 GDP. To fund would require 10% of GDP for 56+ yrs." When it does, and when there is another major selloff in stocks, US Treasurys will no longer be the "safe haven." 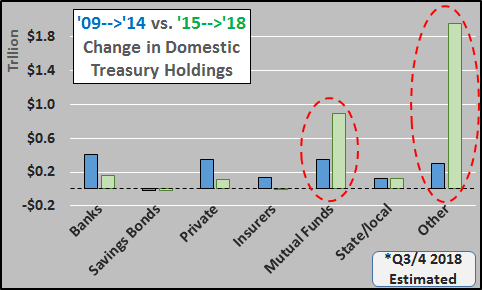 WHO IS THE "OTHER" DOMESTIC BUYER OF TREASURIES THAT HAS BOUGHT $2T SINCE 'TAPER' ENDED? 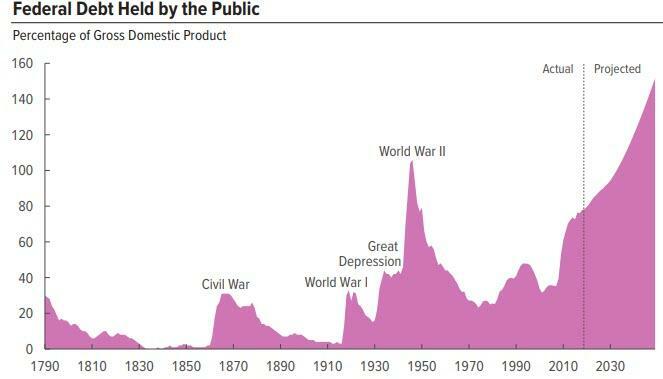 The domestic public has been left to purchase an unprecedented $3.2 trillion, or 84% of all issuance since QE ended. The Domestic Public is "Other investors" with an assist from mutual funds. There is little to no spread to compensate any leveraged "investors" to buy mid to longer duration US debt. Yet the Treasury tells us that "Other Investors" (suddenly became hyper-interested just as QE ended) and have come up with over $3 trillion in cash since 2015 to buy low yielding US debt like never before?!? Is there any party (aside from central banks or central bank conduits) that could come up with such gargantuan quantities of dollars to yield so little and do it essentially without leverage??? Tell me again, who buys US Treasury's...and particularly who buys mid and longer duration US debt (responsible for setting the 30yr mortgage rate)??? ..... this may sadly be the smoking gun of an active, accelerating, and perhaps unraveling Ponzi scheme? DOES THE MARKET HAVE LEGS? PRIVATE EQUITY MAY SHOW THE WAY!